Do you have a list of companies you would like to work for? Identifying specific companies where you would like to be employed can be helpful for your job search. If you have a target list of companies, you can go online to discover information about the employer, review open positions, and find connections to help you apply for employment and get a job offer. The internet makes it easy to find out detailed information about potential employers. It's important to take the time to research companies. You're wasting time and energy if you just apply for any job opening you find, even though you might feel like you're accomplishing something by sending out tons of resumes. When the company isn't the right fit for your skills, qualifications, and goals, there isn't much point in pursuing opportunities there - even in a down job market. Why not? Because, in the long run, the job probably isn't going to work out for you - or for the company. Zappos, the online shoe retailer, believes so strongly in the importance of fit that the company offers new hires a bonus if they quit. Their logic is that only employees who aren't keyed into the Zappos culture will take the bonus, while those that stay on are a good match for the company and feel invested in it. The time you spend upfront investigating companies will benefit you in the long run because you won't be spending energy applying to companies that aren't a good fit. Instead, you will be applying for jobs at companies where you know you would like to work. Plus, once you know where you want to work, you can try to network with current or former employees, who can potentially refer you for a position at the company. How do you find companies that are a good match? There are websites with lists of the best companies to work for. Fortune, for example, ranks companies by a variety of criteria, including the 100 best companies, the 500 top companies, blue ribbon companies, most admired companies, best small companies, and so on. Your local Chamber of Commerce is an ideal resource for finding local companies. The U.S. Chamber of Commerce has a directory you can search to find your local Chamber of Commerce. Then visit the Chamber's website to see if there is a directory of local companies. Professional associations typically have lists of member companies. Use it to find member companies at associations in your career field and/or industry. Look for companies where the mission and culture match your values and priorities. Companies should also have positions that match your abilities and experience (even if the job isn't currently posted). 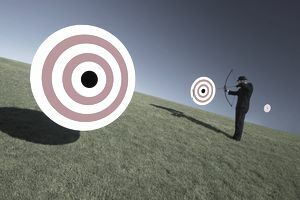 Once you've found companies to target, the next step is to research the company to verify that it is, in fact, a good match. Use LinkedIn's companies section as a tool to find company information. Search by keyword or browse industry information. You'll be able to see your connections at the company, new hires, promotions, jobs posted, related companies, and company statistics. Visit GlassDoor.com. You'll find company reviews, ratings, salaries, CEO approval rating, competitors, content providers, and more company information. Once you have found companies you're interested in, start checking out job opportunities. Visit the company web site to review open positions. Most companies have an employment section with current job openings, and you may be able to apply directly online. Job search engine LinkUp searches only company sites, so it's an excellent resource for finding jobs at specific employers. Also, search the other job search engines by company name to find additional job postings. Next, you need to find contacts at the company who can help you get a foot in the door. The LinkedIn company pages I mentioned will show you your contacts at the company. Reach out to them, let these contacts know of your interest in their company, and ask if they can help. Search Facebook Groups by company name to see if there is a Group for your target company. Ford Motor Company, for example, has a group for people who work, have worked, or will work for Ford. You can also try searching for contacts on Twitter; many people list their employer in their bio. Follow current employees for your target company, and you might hear about job postings early or gain insight into the company. Are you a college graduate? Check with your career services office or alumni office and inquire if there is a database of alumni you can get in touch with. Many college and universities have alumni and parents who have volunteered to help with career networking. What's the best way to approach your contacts to ask for assistance? Here's advice on using social media as part of your job search, and how to use your connections on LinkedIn.